Pure indulgence waits at this private Eden within the Pita Maha Resort & Spa, where both guests and visiting customers have privileged access to all of the perks and indulgence to make your Bali experience one you will remember for a very long time. 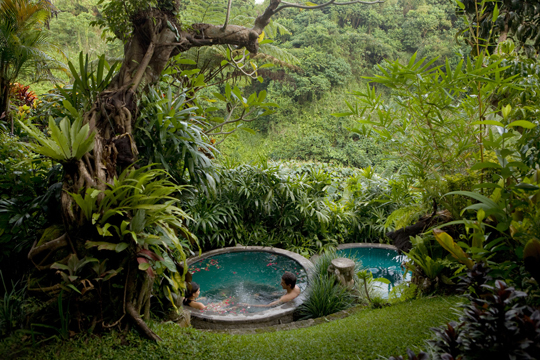 The resort’s luxurious day spa, the Pita Maha Spa, offers an outdoor treatment pavilion, steam room, hot and cold tubs, spring-water plunge pool and health treatment facilities. 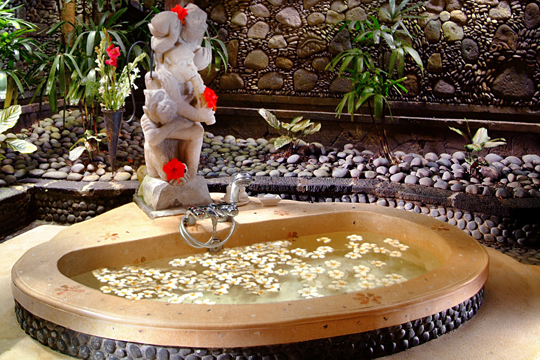 The resort’s honeymoon package includes the two-hour Romantic Spa Ritual that includes a full body massage, use of all spa facilities and a serving of herbal ginger tea. The stunning views and plush surroundings of this very special property in Ubud invite you to put your feet up and surrender to the soothing calm you’ve always longed for.